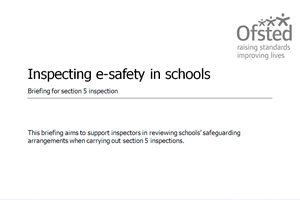 Since the inclusion of e-safety in the section 5 inspection briefing, schools now risk missing Ofsted outstanding ratings due to poor e-safety strategy. With indicators of inadequate e-safety provision including a lack of staff training, stating that “staff training is consistently the weakest area of a schools online safety provision”, along with no planned curriculum content amongst others, it is clear that Ofsted are looking for schools to see e-safety as a whole school issue. To find out how your school would fair against the Ofsted standards considered outstanding or inadequate, start by asking yourself these 5 questions. How would your school respond? The e-safety part of the review left the inspector with no matters for concern or improvement; she said that ‘we didn’t seem to realise how good we actually were as a school’. She loved our parental engagement ideas and other things that I have in the pipeline. In the final report she wrote against the ‘E-safety’ section that we ‘exceeded Ofsted e-Safety requirements by far’ and the last word was ‘Congratulations’. We’ve obviously done some good work, but thanks and congratulations should go in part to your good selves also. We would love to hear how your school would respond to the Ofsted 5 question - Complete our anonymous 5 e-safety questions survey to let us know. This is the fourth and final of a series of articles looking at the demands of the Ofsted’s e-safety framework first published to inspectors in September 2012. The document has since seen a number of amendments, the latest of which was in April 2014. In the last post, we focused at two areas of the framework policy document; Policies and Education. In this last blog we are going to look at the final two areas for consideration, those being Infrastructure and Monitoring & Evaluation. This part of the Ofsted e-safety framework concentrates on the aspects concerning the facilities, duties and responsibilities with regard to the school’s IT infrastructure. The school’s infrastructure includes a ‘Recognised Internet Service Provider’ or Regional Broadband Consortium’. The school has age-related filtering in place and that the filtering allows choice with regard to what staff and students can access and when that access is allowed. - It is advisable that a school should analyse their web traffic at the very least once a month, preferably more often. The filtering is pro-actively monitored in order that inappropriate sites that come to the attention of staff can be actively filtered. 1. Are there clear reasons, associated with the school curriculum, for the site to become unfiltered? 2. Is there any contentious content contained within the website? 3. When logging on to the site, do users have to register? 4. If, by allowing access, it could appear that the school is endorsing the site, does this create any problems? 5. Are there any age-restrictions stated on the web site? 6. If it is a site where students could upload content to it, what is the situation with regard to ownership of such material? 7. If students can upload content to it, who can view the material? 8. Are there any facilities for social-networking on the site that allows users to communicate? 9. If this is a site is unfiltered so that students could use it outside of school hours, are there any issues with unsupervised access? 10. Is there any evidence or content to suggest that the website has been created by a reliable organisation? When checking sites, it is doubtful that all the questions above would be answered positively and so schools would have to employ their own judgement as to whether the benefits of using the site outweigh any issues. Whether the e-safety risk assessment is taken seriously within the school. - An example of this could be in the context of social networking, where the risk is foreseen that some situation could occur identified and a process put in place to alleviate it. - The use of monitoring software can help identify potential e-safety risks. That the risk assessment is used to good affect to promote excellent e-safety practice both within and outside of the school environment. - There is a common misconception that the stories in the media of students getting into problematic situations when using technology won’t occur in our schools, unfortunately this is just a case of ‘burying our heads in the sand’. Good or outstanding practice demands that risk should to be comprehensively identified by schools and mitigation processes implemented (if it can be) to deal with it. Evidence that formally gathered data is used effectively to assess what impact e-safety practice is having on the school community and procedures and the manner in which this informs the strategy. - It is suggested that any school should have a formal reflective process which is recorded, for example documented records of any issue that has occurred in school, whether the relevant policies and procedures were effective and whether they needed updating or modifying. Did the issue identify a need for additional staff training in the area concerned etc. This was the final article in the Interpreting Ofsted series. If you would like to add your comments or suggestions to help other schools, please use the comments section below. 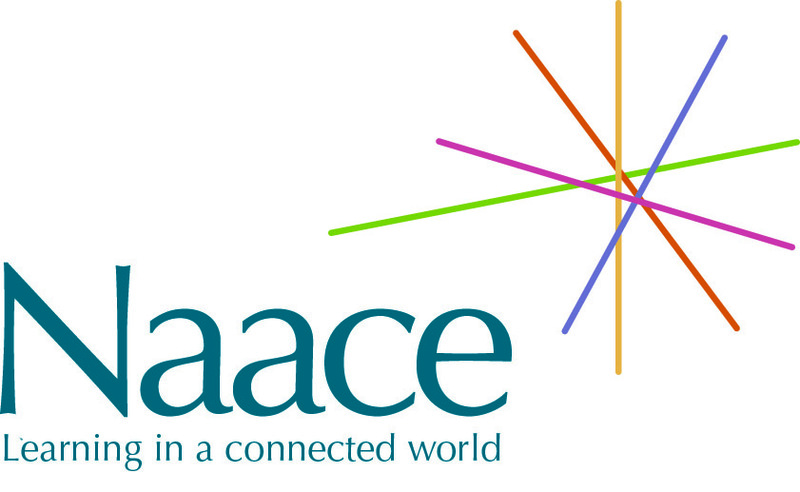 The Naace Strategic Conference 2014 takes places in Nottingham on 27-28 March and will see Naace celebrate its 30th anniversary. The conference is open to both Naace members and non-members and is suitable for teachers, school leaders, advisors and consultants working within and across all phases of UK education. The conference will address how to be outstanding in a world full of technology and the implications of this. Areas such as school improvement and raising standards, meeting technical challenges and e-twinning are hot topics for those involved in technology education. We’ll be addressing these issues, whilst providing plenty of opportunities for you to network with colleagues and discuss the latest developments in educational technology. Is outstanding teaching possible without good use of technology? What does a school need to put in place to enable all the teachers to be outstanding? Is the 'flipping' of learning something every school should be working on, enabling pupils to extend learning and time in school to be used more productively? Does proper demonstration of progression and achievement require online access to pupils' work and teachers' records? How can schools best capitalise on the communication, collaboration and access to learning opened up by Internet? Every school leader, and every teacher in all subjects, needs to know the answer to these questions. If you want to advance education, this is the conference to advance your understanding of how best to do it. Alongside the Keynote Sessions and Naace Impact Awards presentations, visitors will be able to network at NaaceShare and discover top new products at the exhibition.